How To Spy On My Wife’s Mobile Phone Without Her Knowing? In this moving world, true faith from the partner is an important distinction you prefer. However, due to some exterior affects the reliability of your partner comes at the risk. And as a result, the dependability of the females comes with a danger. A healthy relationship is built on unwavering trust and if they cheat the relationship is destroyed. The primary strategy which becomes part of coherence is the phone tracking. If you feel your wife is cheating on you the best way to know is by spying on her. Do you wonder how to Track My Wife’s Mobile Phone? Well, here we have the best cell phone monitoring software spymaster pro for you to keep an eye on her cell phone. Sometimes traditional monitoring ways are used to catch a cheating spouse. Nowadays there are modern ways to catch a cheating spouse and to track their cell phone activities. The best way is to get a cell phone monitoring software to catch them and to keep an eye on their mobile phone remotely and invisibly. With the help of best cell phone monitoring software, you can check your wife’s activities sitting at your comfort secretly. Primarily, you need to acquire the Spymaster Pro. Right after the purchase, you will receive log in credentials of Spymaster Pro that you can use to check your wife’s mobile phone activities. In case of an Android device, you will be required to download and install it in the target mobile. To spy on an iPhone, no installation or jailbreak is required. Just get the iCloud credentials of the target mobile and provide at the time of login. It’s usually found that courtroom usually tosses the case in point and also, they are intolerant opposed to the cheater. Therefore, to reveal this disloyalty of your wife you must have proofs. So track your wife’s mobile phone activities anytime anywhere with cell phone monitoring software anytime anywhere. To catch your cheating wife seek the help of the best Cell Phone Monitoring Software Spymaster Pro and track her activities. You can get this software online at affordable prices and many discounts are also available on this site. 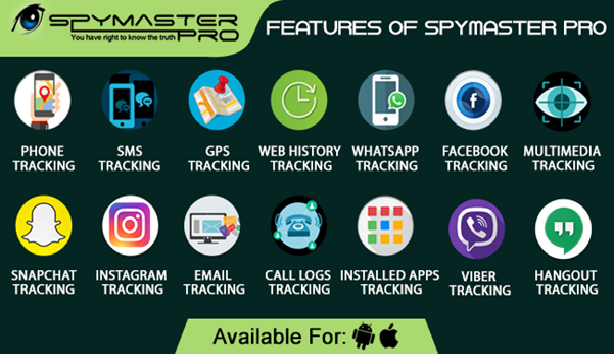 Buy the spymaster pro and track your wife’s mobile phone activities like call logs, Instagram account, snap chat account and even you can track her GPS location. You will just have to download and install the software into your wife’s mobile phone and sitting at your comfort you can track her messages, social media accounts secretly without being detected. As this software works secretly. You will be given login details on the purchase of the spy software by which you have to access. It’s very simple you just have to log in and check the recorded details like messages and many more. What are The Applications of Flow Measurement Devices?